We have a heart for durability and beauty. We have a showroom full of products we believe to encompass those two qualities down to the nail head. 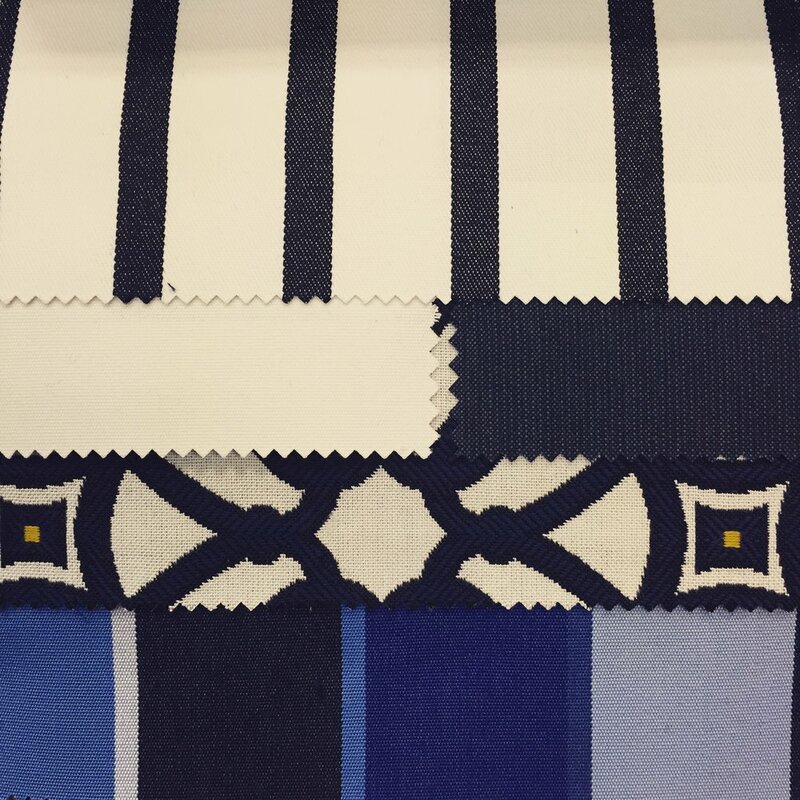 We recently brought in Sunbrella fabrics because they are, in fact, beautiful and durable. The Sunbrella Company has been around for 54 years- like their product, they have stood the test of time- and has evolved greatly from their 6 color awning-grade fabric business which opened in 1961. Sunbrella was the first alternative to cotton that was made of acrylic fibers with pigmentation added prior to extrusion, which offered the rich look and feel of cotton, but did not fade or degrade. They moved from awnings to marine upholstery in the mid 70's when, at that time, their fabric had gained notoriety for its ability to stand up to the elements and for their outstanding product warranty. Less than a decade later, Sunbrella expanded its reach into the outdoor furniture market and never looked back. 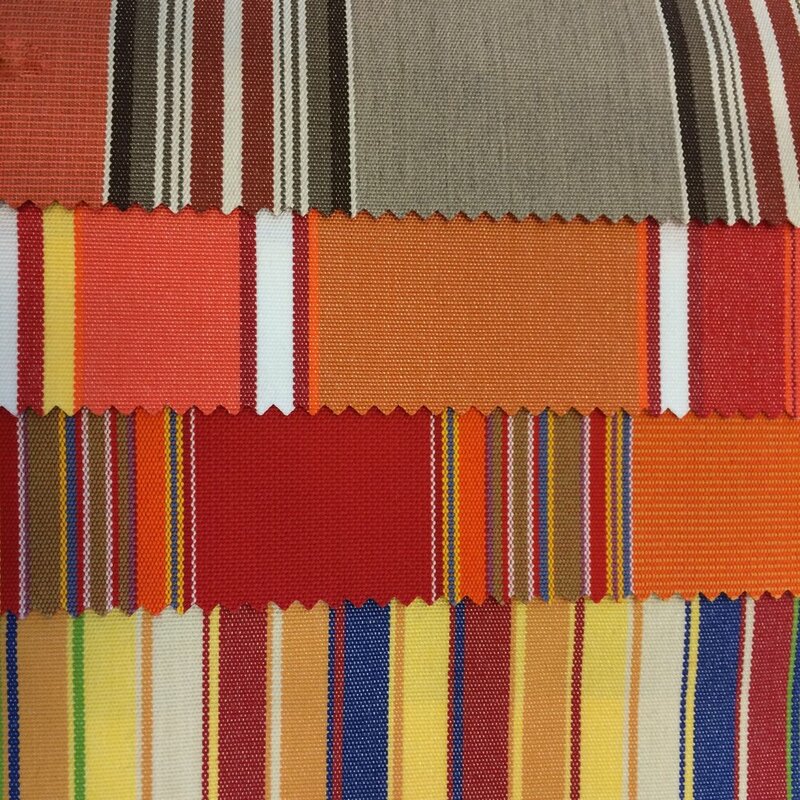 As time moved forward, the demand for durable indoor Sunbrella fabric once again brought the company to a new frontier. 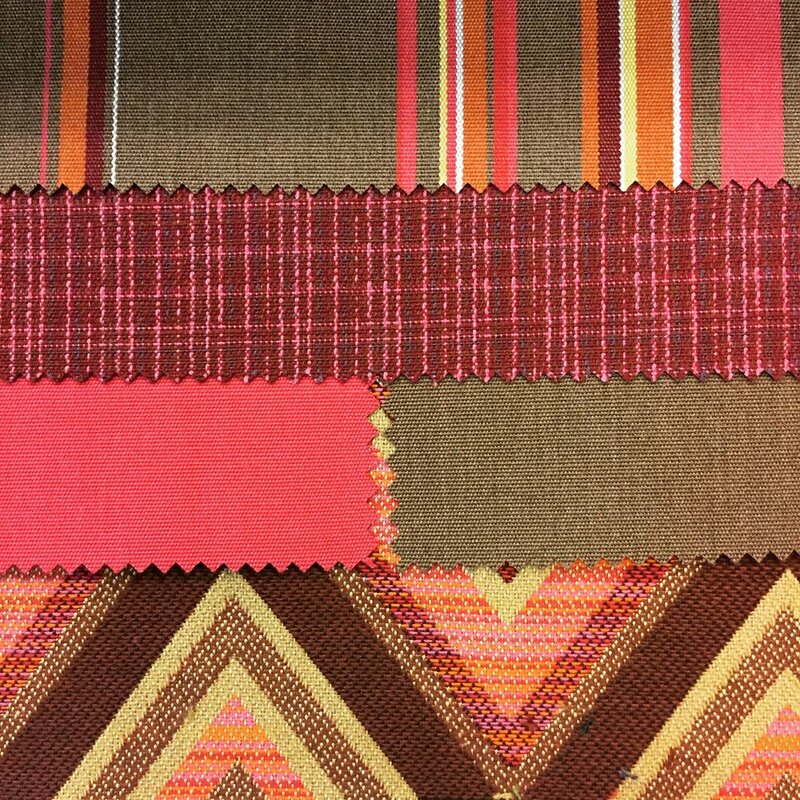 They finally offered fine indoor fabrics that match the look and feel of designer fabrics, but with the same durability of their outdoor grade materials. And what's more? So now, here we are! Darby Road Home offers Sunbrella fabrics on many custom upholstery frame options including sofas, dining chairs, occasional chairs as well as ottomans. Now you can enjoy a well deserved glass of wine on a white upholstery piece without care... And with care instructions. Do you have a need for some DRH Design Services? Thinking about ordering a custom upholstered piece but are overwhelmed about all the choices? We are here to help! Click here, complete the form and receive a Sunbrella care instructions sheet as well as our Design Services.